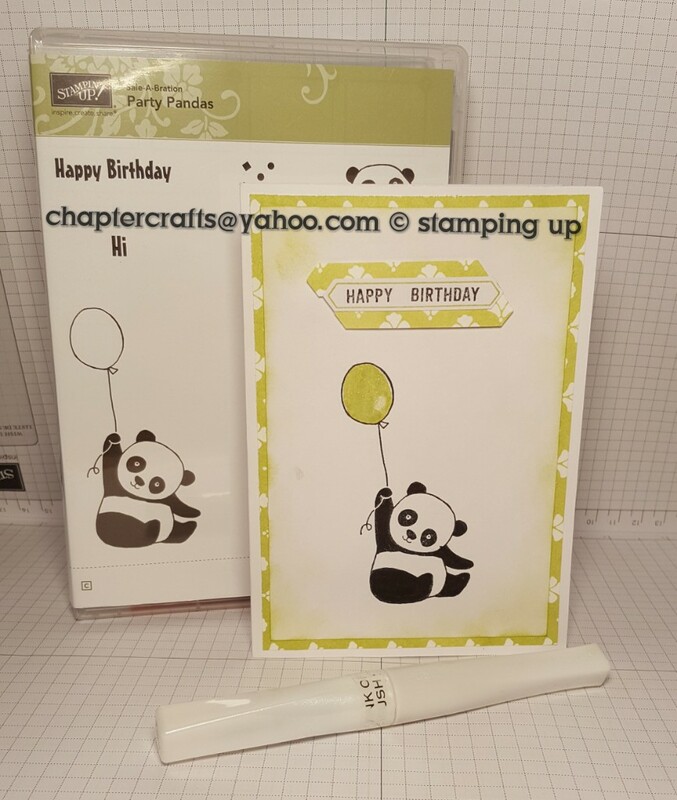 Hello and welcome to another project using the Panda party stamp set from stampin up! Sale.a.bration. Like I've said before I love this stamp set. Fresh florals designer series paper in lemon lime twist 3 7\8" x 5 5\8". 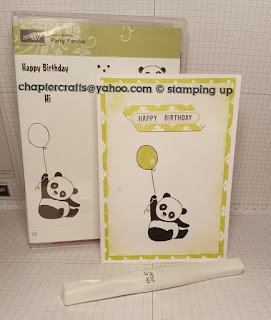 Whisper White card 3 5\8" x 5 3\8"
Using basic black ink for the panda and lemon lime twist with wink of Stella.